If you live in San Francisco, ordering a Starbucks caramel macchiato or a nitro cold brew from the comfort of your office, apartment, or even the park is as easy as hailing a ride from Uber. Last month, Starbucks (SBUX) announced plans to offer delivery at a quarter of its nearly 8,000 U.S.-based stores in early 2019 in partnership with Uber Eats. On Tuesday, the coffee giant kicked off its Starbucks Delivery pilot program in San Francisco, the first of six cities that will start offering the service to customers. Here's how it works: Customers place an order using the Uber Eats app for the approximately 95% of available menu items, including drink customizations. 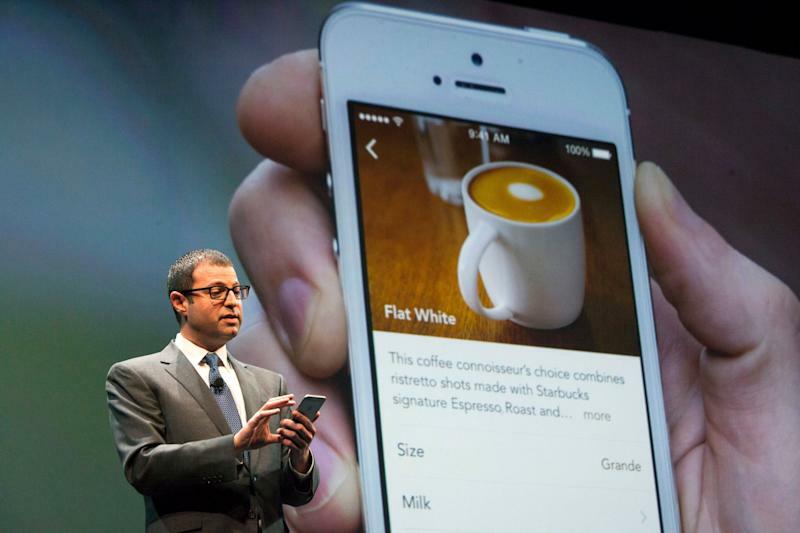 Customers can track those orders on the app while their beverage or food arrives within the 30-minute window. To ensure the products remain hot or cold as intended, Starbucks created specialty packaging. Deliveries come with a $2.49 fee. Starbucks began piloting Starbucks Delivers in Miami last fall, making deliveries to customers in office plazas and on the beach. "We did see some great things in Miami. I experienced it myself,” Starbucks COO Roz Brewer told Yahoo Finance in an interview in mid-December. Brewer added that one thing the company noticed is customers place a larger ticket. In the coming weeks, delivery will expand to New York, Los Angeles, Chicago, and Washington, D.C., bringing the total U.S. cities to seven. According to Statista, online food ordering is a $95 billion market worldwide and is expected to continue growing. Tapping into this opportunity, Starbucks is focusing its efforts on expanding delivery both in the U.S. and internationally. One of the delivery battlegrounds has been China as Starbucks faces increasing competition from startups like Luckin. In the fall, Starbucks announced a partnership with Chinese e-commerce giant Alibaba (BABA) using Alibaba’s on-demand food delivery platform Ele.me, which outfitted its fleet of bikes to carry the beverages. After piloting in Beijing and Shanghai, Starbucks expanded to 2,000 stores across 30 cities in China. Other markets where Starbucks is offering delivery include Japan, India, Hong Kong, Singapore, Indonesia, Vietnam, Mexico, Colombia, and Chile. Starbucks also has plans to offer delivery in the United Kingdom this year powered by Uber Eats. The company reports its fiscal first-quarter results on Thursday after the bell.